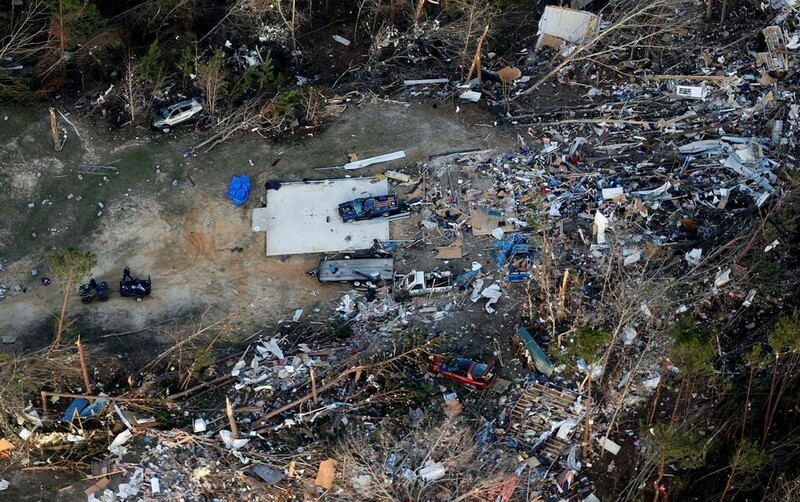 Deadly Tornadoes Ravage Parts of Southeast U.S. Though the calendar still reads winter, deadly severe weather battered much of the southeastern U.S. last weekend. Dozens of tornadoes struck parts of Mississippi, Alabama, Florida, Georgia, and South Carolina. Lee County, Alabama was the hardest hit, as two EF4 tornadoes ravaged the county on Sunday. One of which was one mile wide and traveled for 23 miles before dissipating. Tragically, 23 people lost their lives in the tornado. This made this outbreak the deadliest in the United States since May 2013. While severe weather is not expected in the southeastern U.S. over the next few days, unfortunately, there is the potential for more violent weather in the area this weekend. Details on this next threat remain uncertain at this time. 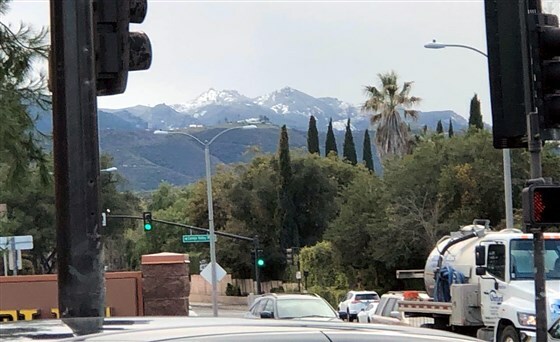 The taller mountains in southern California receive multiple snowfalls every winter. But the populated lower elevations, including places such as Hollywood, Pasadena, and Malibu, almost never receive snow. But flakes flew in those places last Thursday, with some sleet and grapuel also reported. No accumulations were reported in the lowest elevations, but Interstate 5 was closed through the Grapevine region after an inch of snow fell there. The snow fell in the midst of what is likely going to be the coldest February in Los Angeles since 1962. However, the last time measurable snow fell in downtown Los Angeles was in 1949. The blast of unusual winter weather is not expected to return to Southern California anytime soon. High temperatures are expected to be in the 60s near Los Angeles this week with multiple chances of rain. When it comes to weather, Las Vegas is known for its blistering summertime heat. But this week, Las Vegas was treated to a rare bout of snowfall Sunday night into Monday morning. While only a trace was reported at McCarron Airport, parts of the city received 1.5 to 2 inches of snowfall. Even more snowfall fell just outside of Las Vegas, with Mount Charleston measuring 3.5 inches of snow. 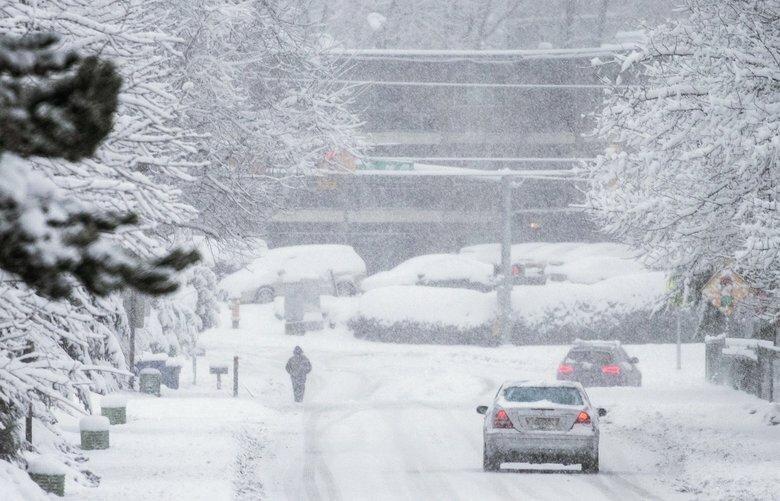 It was the largest snowfall in the region since December 2008. Snow and ice closed a section of Interstate 15 in Nevada on Monday morning. While the area is experiencing a break in precipitation today, more snow is possible in some places Wednesday night into Thursday. The Pacific coastal plain of the northwestern United States is not an area known for heavy snowfall. But that is exactly what has happened during the month of February, even at sea level. As of Tuesday morning, Seattle-Tacoma International Airport in Washington State had recorded 20.2” of snow for the month of February. That makes February 2019 the snowiest month since December 1968 there. The total was also more than double the snow total for the entire winter as of Tuesday morning for New York City and Boston combined. Even more impressive is the fact that Seattle-Tacoma Airport has had two snowfalls in excess of 6” so far this month, only the fifth time that has happened in a month since 1894. More precipitation is expected over the next week in the region. At sea level, much of it is expected to be rain, which will cause flooding issues with snowmelt. However, some of it may still be in the form of snow at lower elevations. The higher elevations of the Cascades will likely receive multiple feet of snow over the next week.